Some years the orchards yield larger nut sizes and when we can get them we make a Deluxe Mixed Nut mixture. 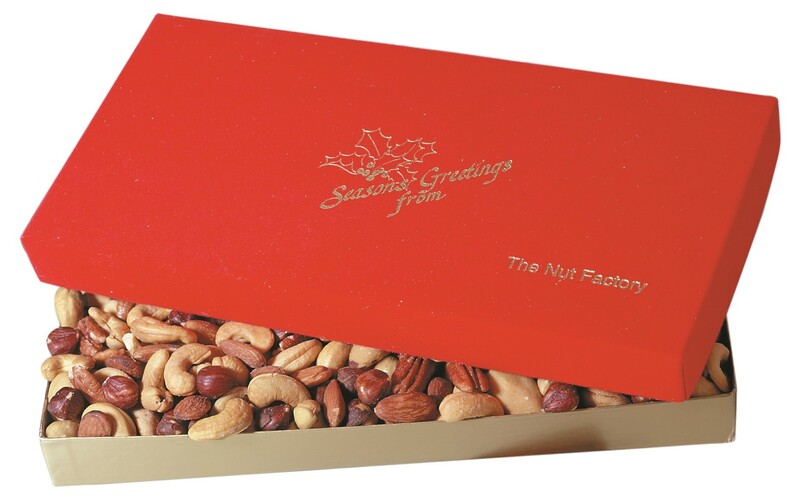 This festive red velvet holidaygift box holds almost 1 pound 12 ounces of our largest nuts. 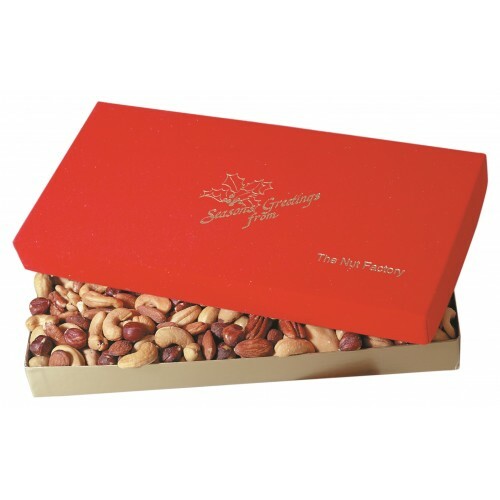 This gift box of Deluxe Mixed Nuts is a very traditional and one of our most popular gift selections. This mixture has no peanuts, and includes large roasted cashews, almonds, pecans, hazelnuts, and pecans.